Today we’re getting right to the point and throwing out some simple thoughts. A pool. The sun. Champagne. And in case you missed it: a pool. 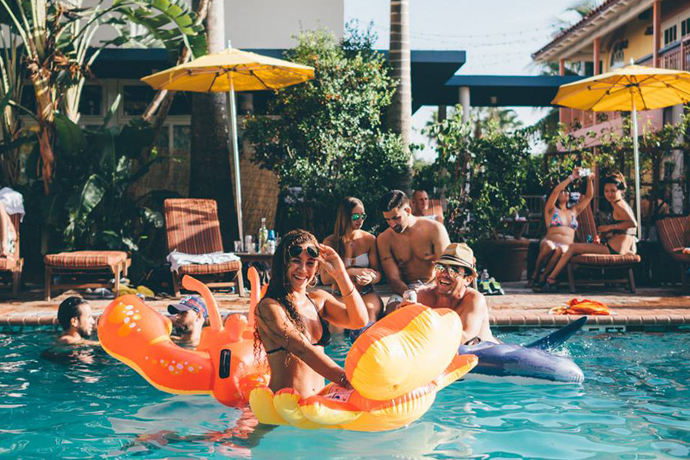 You’ll find all of the above at the VIP Pool at the W South Beach, a secret watering hole accepting daylong reservations as of now. It works like this: you book a room. You contact the concierge to reserve the 48-foot pool located behind tall hedges at the northern edge of the hotel’s backyard. You don your best aviators, gather up the Beyoncé to your Jay-Z and settle in for a day of swimsuited leisure, nicely secluded from the crowds at the main pool. And the next time you’re celebrating something special—your birthday, a recent business coup, meeting the Argentine women’s polo team in the elevator—you’ll reserve this aquatic den for some much-deserved covert frolicking. Your favorite kind of frolicking.